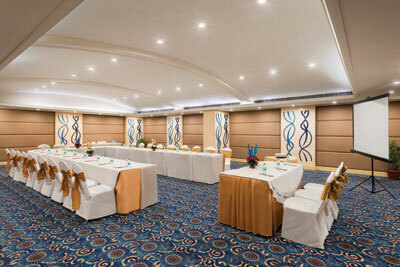 Ramada Jalandhar City Centre is designed to host meetings and events of virtually any shape and size. High Speed Internet Access and cutting-edge audio-visual capabilities can support any technical requests, while the soothing interiors and ambient lights provide an inspiring environment for your event. Whatever your requirements, we've got the prime location, the sophisticated planning and motivated professionals to assure you and your guests can relax and focus on what's important. 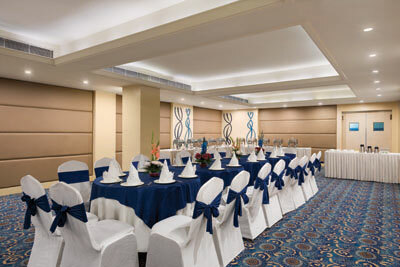 Banquets, conferences, weddings, cocktail receptions can be comfortably accommodated on our dedicated function floor, consisting of The Empire of 4600 square feet, 4 meeting rooms and a board room fully supported by Ramada Jalandhar City Centre's exceptional service. 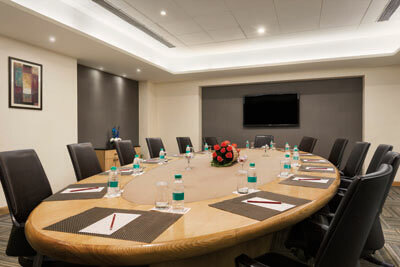 Our State-of-the-art meeting facilities include the latest in audio visual technology; wireless internet (at an additional charge) is available in each of our meeting rooms. Ramada Jalandhar City Centre offers a choice of gourmet menus to cater to the specific needs of guests. From multi-cuisine to regional, Indian to international, guests can look forward to a variety of gourmet fare paired with innovative cocktails and choicest liquors. Perfectly set tables with fine crockery, cutlery and linen, complement the theme of the occasion. We look forward to welcome you and your guests at RAMADA Jalandhar City Centre.